Ilana Braverman, MAPP class of 2016-2017, worked on her MAPP final research project, “A Systematic Review of Broiler Rearing Methods’ Effects on Broiler Welfare and Public Health” during the summer of 2017. At the Hazon Food Conference in Falls Village, CT, she and MAPP alumna, Melissa Hoffman, MS (class of 2015), along with Dr. Alison Spodek, from Farm Forward’s Jewish Initiative for Animals presented, “Our Power Post-Paris: How to Take Action for the Climate with Food Policy” on Thursday, August 10th. Melissa Hoffman, MS also presented “Greening Your Simcha: Plant-Based Food Demo” with Donna Simons, both from of Farm Forward’s Jewish Initiative for Animals, on Friday, August 11th. 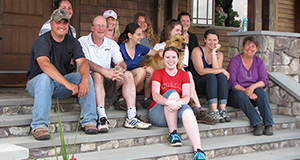 The conference was held at Isabella Freedman Jewish Retreat Center which has the Adamah farm onsite. 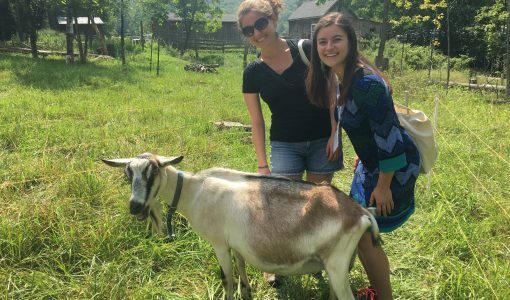 Melissa and Ilana are pictured above visiting the goats at the Adamah farm.